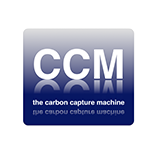 CCM (UK) Ltd is a recently formed spinout company of the University of Aberdeen. We are a research-led CO2 CAPture and CONversion (CAPCON) specialist that will contribute to the global reduction of carbon emissions through the scale-up and commercialisation of a potent, profitable new CAPCON technology and derivative products. Our technology is patented and uses readily available materials and components. Low capital investment makes the technology peerless. What we offer is an integrated, optimised CO2 CAPCON technology and products to reduce cost and risk for emitters, offset by new value streams. Our CAPCON research has led to the development of processes and products that yield high economic value, by (i) replacing other carbon intensive materials and products, and (ii) creating greater value by converting “wastes” into useful products. The CCMs that are being demonstrated and commercialised through the NRG COSIA Carbon XPrize competition dissolve CO2 flue gas directly into slightly alkaline water, that is then faced with a suitable brine source containing dissolved Ca and Mg (and other) ions as found in connate formation, produced, and other abundantly available waters. A proprietary multi-stage precipitation technology is used to selectively separate and produce nearly insoluble Ca and Mg carbonate minerals that have useful properties, and hence commercial value in existing established and new markets. Mohammed Imbabi, BSc, MSc, PhD, FIMMM, Founding Director, CEO and CTO of CCM (UK) Ltd., is a scientist, professional engineer, innovator and educator in the diverse fields of civil engineering, low energy building engineering, energy efficiency and renewable energy. He is author of more than 140 peer-reviewed scientific publications. Sponsors of Mohammed’s research include the Engineering and Physical Sciences Research Council, Scottish Executive, the EU, and Industry. He is Director of the Centre for Innovative Building Materials and Technologies and member of the IOM3 Cementitious Board of Directors. 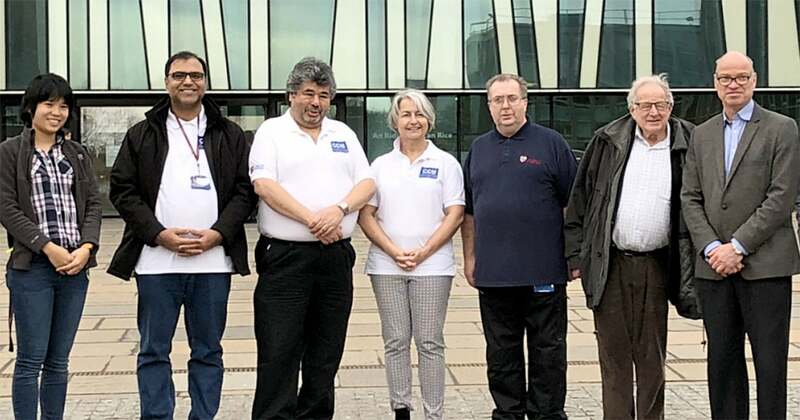 Mohammed Imbabi, Fred Glasser, Zoe Morrison, Waheed Afzal, Fred Stevenson-Robb, Jeremy Kilburn, Tom Horne, Nan Pragot, Roneta Holland, Sen Wang. See how CCMs will help the environment and improve quality of life over time.